Since we only had 2.5 days in Instanbul, we crammed as much as we could into each. Today was our tourist day starting at the Blue Mosque. 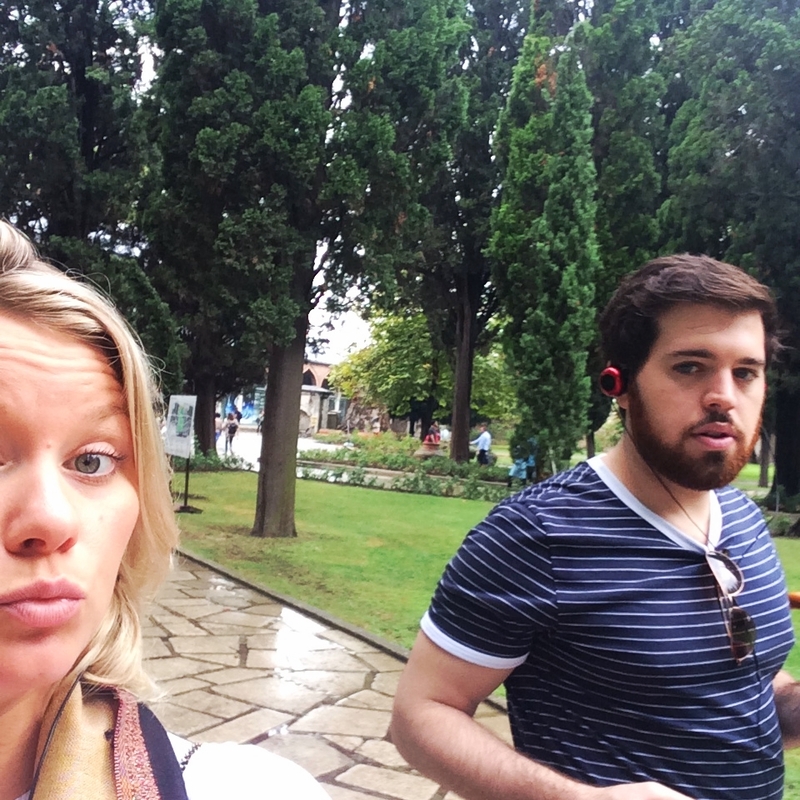 Luckily, most of the big tourist attractions are within a couple blocks of each other so were also able to see Topkapi Palace, Hagia Sophia and the Basilica Cistern within a few hours. It was pouring rain the first half of the day but we powered through and it eventually cleared up. We had lunch on the cliffs at the end of the Topkapi Palace tour and could see the Asian side of Turkey from our table, absolutely breathtaking. We are not huge history buffs but were completely enamored with the architecture and beauty of these buildings. I happen to be a huge chandelier enthusiast so Hagia Sophia was like a dream for me. Bascilica Cistern also topped our lists as it was an underground watering system used by Constantinople. It was one of the coolest things I have ever seen in my life- felt like I was at Hogwarts about to battle a basilisk at any given moment. We ended the night with a stuffed potato and all the fixings (also more Raki and hookah of course)- a traditional Turkish treat. All of the food here is incredible, some of the best cheese, bread and tomatoes I have ever had in my life.